Between 1980 and 1990, Mike Schmidt of the Philadelphia Phillies won more Gold Gloves, six, than any other National League third basemen. But do you know who won the second-most? The answer may surprise you. If you had guessed Tim Wallach, you would have been correct. Wallach, who spent 17 years in the majors with the Montreal Expos, Los Angeles Dodgers, and California Angels, was, arguably, the heir to the great Phillies legend as the best third baseman in baseball during the late 1980s and early 1990s. In addition to winning three Gold Gloves (1985, 1988, 1990), he was a five-time All-Star, and won two Silver Slugger Awards. Timothy Charles Wallach was born on September 17, 1957, in Huntington Beach, California. As a youngster, he played high school ball at University High School in Irvine, California. He was quite confident in his abilities, and expected to be drafted after graduating in 1975, but all he got was a hard lesson in the realities of the baseball business. Once he got over the disappointment, Wallach decided to continue his education and development as a player. He went to Saddleback College in Mission Viejo, California, for 1976 and 1977, and then moved on to Cal State Fullerton, where his numbers and career prospects both took off. In a harbinger of things to come, Wallach hit a home run in his first at-bat with Cal State, in 1978. He went on to lead the team in hitting (.394), home runs (16), RBIs (80), and slugging (.715), all school records while playing first base for the team. He was drafted as a free agent in the eighth round of the 1978 amateur draft by the California Angels, but the two sides couldn’t agree on a bonus, so Wallach returned to Cal State for his senior year. That summer he displayed his capacity to play well in northern climes by playing with the Alaska Goldpanners of the Alaska Baseball League. This was no slouch of a team, Wallach’s teammates included future major leaguers Terry Francona – who later played alongside Wallach on the Expos – Ed VandeBerg and Tim Leary. Wallach was the team’s most valuable player, with a .328 average, 20 homers, and 66 RBIs in 70 games. Wallach’s accomplishments in Alaska were pale in comparison to what he did when he returned to Cal State Fullerton in 1979. He hit .392, but bettered his school records in home runs with 20 and RBIs with 102. He led the team to a 60-14-1 record and the College World Series title in Omaha, Nebraska. He won both the Golden Spikes Award as USA Baseball’s top amateur player and The Sporting News’ College Player of the Year Award. Despite these numbers, he was not the first overall pick in the 1979 amateur draft. That honor went to Al Chambers, who played in a total of 57 games over three years with the Seattle Mariners. 2 Luckily for the Expos, Wallach was still available when their turn came up at number 10. Wallach signed this time. Wallach’s first stop as a professional was with the AA Memphis Chicks of the Southern League. The Chicks roster included talented players that became part of the strong Expos teams of the early 1980s, including Tim Raines, Bill Gullickson, and Charlie Lea. Wallach only played 75 games, but still managed to hit .327 with 18 homers and 51 RBIs. Those numbers were good enough to get him promoted to the AAA Denver Bears of the American Association for the 1980 season. Wallach made the regular roster in the strike-shortened 1981 season, and played in 71 games that year, in right field, left field, third base, and first base. He hit only .236 with four home runs and 13 RBIs, but nonetheless made the roster for the Expos’ 1981 post-season. In two playoff series he got one hit in five at-bats and scored one run. The Expos obviously saw something beyond the numbers as they decided to trade incumbent third baseman Larry Parrish to the Texas Rangers and anoint Wallach as the team’s man at the hot corner. Wallach responded offensively with 28 home runs and 97 RBIs. His defense, unfortunately, was still a work-in-progress, as he committed 23 errors, third-highest total in the league. His error total declined slightly in 1983 to 19, but he was still among the league leaders in errors and had to improve his defense to become a complete player. That process began the following season. He still committed 21 errors that season, fourth in the National League, but improved enough to earn his first All-Star berth. He followed that up in 1985 with his first Gold Glove by leading NL third basemen in putouts, chances, assists and double plays. His 22 home runs and 81 RBIs led to him winning his first Silver Slugger award. He also received his second All-Star Game invitation. Had the National League’s managers chosen the All-Star starters, he would have started, according to an Associated Press poll of National League pilots. Eight of the nine NL managers who participated in the poll felt that Wallach deserved the starting nod over the fans’ choice, Graig Nettles of the San Diego Padres.6 In fact, he came in fourth in the fan voting, behind Nettles, Schmidt, and Ron Cey of the Chicago Cubs. Wallach, never one for self-promotion, appreciated the managers’ support, yet was comfortable with the fans’ selections. As the saying goes, sometimes the best trades are the ones you don’t make. That was certainly the case with the Expos’ non-trade of Wallach in 1987. Prior to that season, the Expos were considered a shoo-in for sixth place in the NL East (Sports Illustrated ranked them 24th out of 26 teams that year – only the Atlanta Braves, who were in the NL West at the time, and the Seattle Mariners ranked lower).10 Superstars like Gary Carter and Andre Dawson were gone, and Tim Raines, a victim of the owners’ collusion efforts, did not re-sign with the Expos until May 1. They also lost five straight games to start the season. Wallach chose 1987 to have a career year, and led the Expos to a 91-71 record, four games behind the division-winning Cardinals. He led the league in doubles (42) and set career highs for home runs (26), RBIs (123, still a franchise record) and batting average (.298). Never known as a speedster, he managed to hit the only two inside-the-park home runs of his career that season. If that wasn’t enough, he also pitched a shutout ninth inning to end a blowout 8-0 loss in San Francisco, giving up one hit and no walks. He was an All-Star, won a Silver Slugger award, and finished fourth in MVP voting. Wallach’s production fell off significantly over the 1988 and 1989 seasons both in home runs (12 and 13 respectively) and RBIs (69 and 77). He did win his second gold glove in ’88; in ’89 he led the league in doubles and was an All-Star. Nonetheless, it appeared that he had reached his peak and was on the downside of his career. Then came 1990, a year of ups and downs for Wallach. Just before the season started, Wallach’s agent Rod Wright reported that his stoic client was unhappy because first baseman Andres Galarraga was earning $1.2 million more than he was, and wanted his contract renegotiated. 11 Wallach made it clear that the assertion was untrue. The salary issue did not prevent Wallach from having another great season, both offensively and defensively. He hit .296, smacked 21 home runs and drove in 98, was an All-Star for the fifth and final time and won his third Gold Glove. He even garnered a few MVP votes. This performance earned him the honor of being named the first captain in Expos’ history. Despite being named team captain, the 1991 season was forgettable for both Wallach and the Expos. The team finished last in the NL East with a 71-91 record, and the only offensive statistic that was higher for Wallach than the previous year was the number of strikeouts (100, compared to 80 in 1990). He probably found his career-low .225 batting average pretty offensive as well. That poor team performance and Wallach’s reduced production prompted Expos’ management to make some changes that affected Wallach and weren’t, in his opinion, handled very well. They traded Galarraga to the St. Louis Cardinals and wanted Wallach to replace him at first base. “The first I heard of it was during the Expos’ caravan in January of ’92,” said Wallach. [Manager] Tom Runnells came up to me and asked me if I was willing to play first. I said I’d rather not…But I didn’t hear anymore about it until the third week of spring training when Runnells and [General Manager Dan] Duquette called me into the office. Wallach blamed Duquette for the move, but there’s little doubt that Runnells had the idea and influenced the way it was handled. Runnells was fired May 22, and his replacement, Felipe Alou immediately moved Wallach back to third. The atmosphere on the club improved so much when Alou took over that the team, which was 17-20 when Runnells was fired, finished 87-75. Nonetheless, the damage had been done, and Wallach’s play suffered as a result. He hit only nine home runs and drove in only 59 runners. 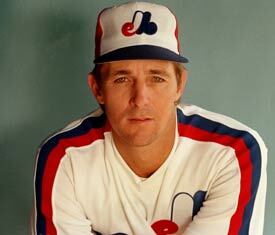 The Expos traded their captain at season’s end to the Los Angeles Dodgers for minor-leaguer Tim Barker. Wallach was gracious toward the Expos after his his departure. Wallach posted a .280 season with 23 HRs and 78 RBIs in 1994, but fell to .266, nine home runs, and 38 RBIs the following year. He signed with the Los Angeles Angels of Anaheim on December 5, 1995. He was batting .237 with 8 home runs and 20 RBIs when the Angels released him on July 19. The Dodgers re-acquired him on July 25, and he batted .228 with four homers and 22 RBIs in the stretch drive. Wallach’s post-Expos playing career did have a few highlights. He had a good year in the strike-shortened 1994 season (23 home runs, 78 RBIs) and played in the 1995 and 1996 National League Division Series (NLDS) (one hit in 12 at-bats in 1995 and zero hits in 11 at-bats in 1996). Age and the effects of injuries that diminished his production prompted Wallach to retire after the 1996 season. Wallach has had a very successful life since his playing days ended, both personally and professionally. He has had successful managing stints at various levels in in the minors, at Level A with the California League in 1998 and 2001, and with the Dodgers’ AAA affiliate, the Alberquerque Isotopes of the Pacific Coast League (PCL) in 2009-10. Wallach led them to a playoff appearance in his first year (the Isotopes had an 80-64 record but lost in the first round of the playoffs), and was named 2009 PCL Manager of the Year. He became the Dodgers’ third base coach in 2011, and as of this writing, has been interviewed for a number of managerial jobs at the major league level. He was elected into the National College Baseball Hall of Fame in 2011. Wallach’s family life has not only been satisfying, but award-winning. He met his wife Lori, a softball player, at a party in 1979 and they married the next year. They have three sons: Matt (b. 1986), Brett (b. 1988) and Chad (b. 1991). All three boys play baseball and were drafted by the Dodgers, but none have made it to the majors. The Wallach’s family life was such that in 2012, Tim, Lori and their three sons were awarded the “Ray Boone Family” award by the Professional Baseball Scouts Foundation.17 The award has been handed out annually since 2005 to families where multiple generations have been involved in baseball. So were a lot of Expos fans. Gallagher, Danny and Bill Young. Remembering the Montreal Expos (Toronto: Scoop Press, 2005). Orange County Register, October 18, 2012. Montreal Gazette, July 12, 1985.